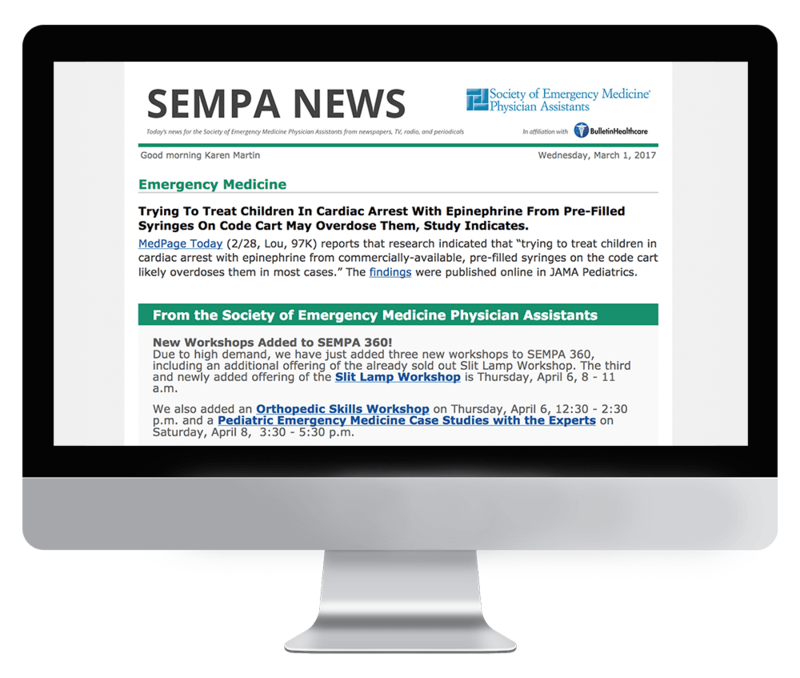 SEMPA News is an exclusive member benefit. Sections in the briefing include: Emergency Medicine, Hospital News, Clinical News, Drug News, and Legislative and Policy News. SEMPA members are men and women from all walks of life who practice emergency medicine in urban trauma centers, academic medical centers, suburban and rural hospitals and urgent care centers in the United States and around the globe. Subscription to SEMPA News is exclusively limited to SEMPA members. If you are a member of SEMPA and would like to receive this briefing, please reach out to the association directly.